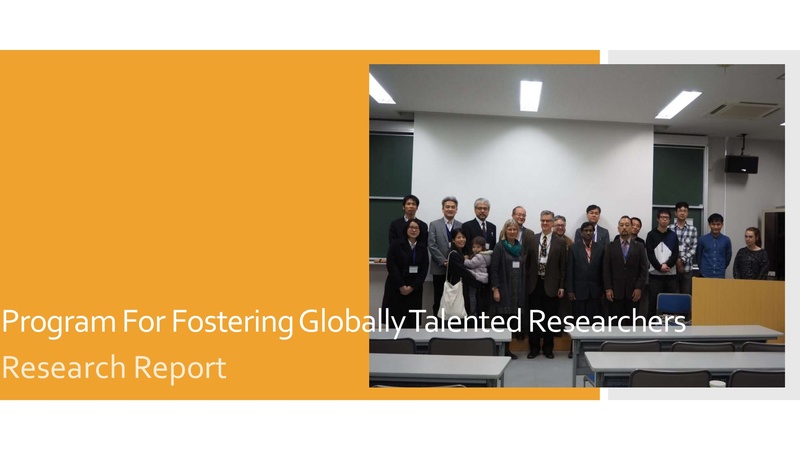 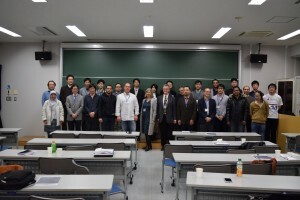 HiHA 4th International Symposium was held on 10th March. 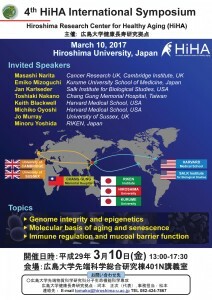 This time, we had invited 8 distinguished researchers from 4 countries. 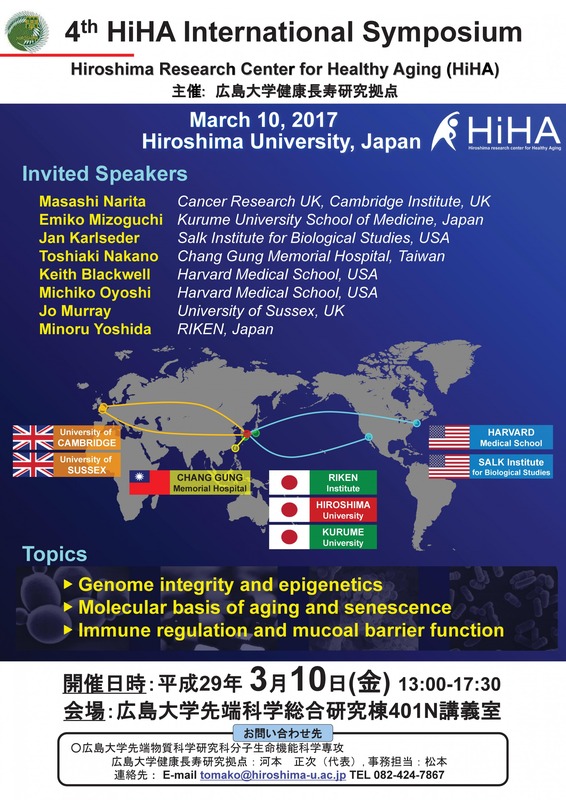 Speakers discussed their upfront research topics on healthy aging from a wide variety of points of view including genome integrity and epigenetics, genetic regulation of lifespan, senescence and cellular communication, metabolomics and protein modification and immune responses in human diseases. 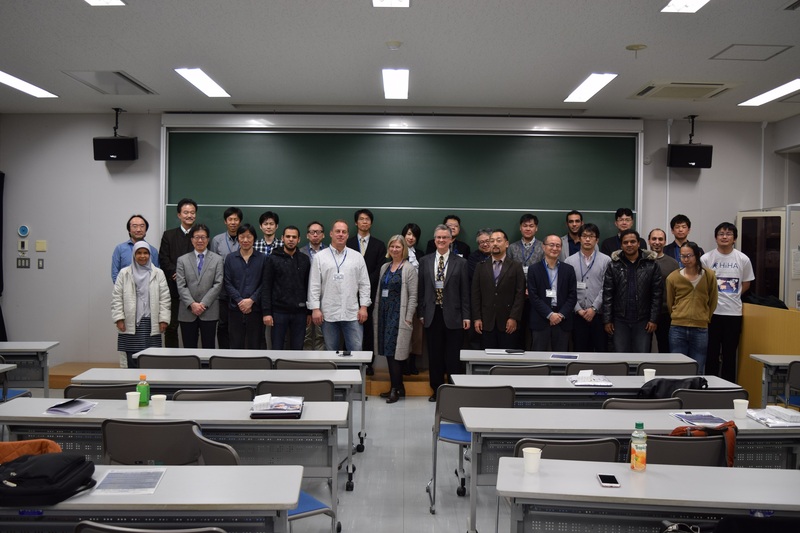 This symposium was registered as an Inter-Graduate School Educational Seminar for students who belong to 5 Graduate Schools (Integrated Arts and Sciences, Science, Advanced Sciences of Matter, Engineering, and Biosphere Science).